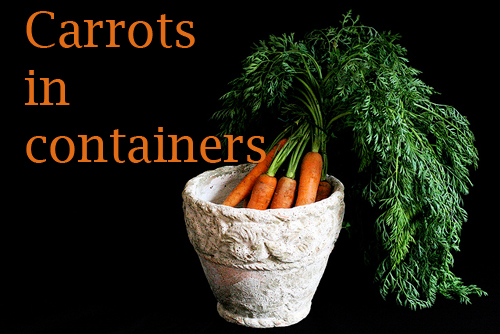 If you have not had much success when planting carrots in garden planters, here are a few easy tips to try! Try the "Paris Market" variety. Unlike most carrots, this variety will tolerate shallow, rocky soils and still produce nicely shaped roots. The reddish orange globes form early in the season and are known for their exceptionally sweet flavor. And, in cases you want to avoid your soil altogether, they will even perform well when grown in a planter or garden container. If you have never tried this variety we think you will not only enjoy the easy of potting them up, for the taste as well. Read more..... A few ways to keep your potted garden healthy!